Executive Auto Body Repair in Wallingford has been restoring body damage to vehicles for more than 40 years. We know that automobile accidents can be traumatic. That’s why we streamline and simplify the repair process. This will minimize any inconvenience to you, from towing your vehicle to our auto body repair shop, to working directly with your insurance company to ensure the repair, estimate and payments are taken care of accordingly. Executive Auto Body in Wallingford, CT treats the needs of each individual customer with paramount concern. We know that you have high expectations, and as a car dealer we enjoy the challenge of meeting and exceeding those standards each and every time. Allow us to demonstrate our commitment to excellence! Our experienced service staff are eager to share their knowledge and enthusiasm with you. 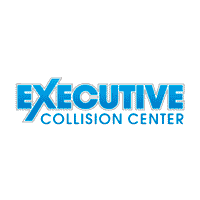 We encourage you to browse our website, schedule an appointment and learn more about our collision center. You can also request more information by using our online form or by calling 866-778-1885. If you’d like to visit us in person, click on the ‘Contact Us’ page for step-by-step driving instructions to our site, or give us a call. We look forward to serving you! Executive Auto Body	41.5037489, -72.8095424.